A Queen Bee isn’t afraid to be herself, authentically and truly. She says what she means and she means what she says. She’s socially savvy and intuitively connected to the world around her and she actively defies convention by creating new and better ways to love her life, as well as to pay it forward to those around her. “QueenBeeing” is a term coined by Angela Atkinson and its meaning is vast as several components are included. 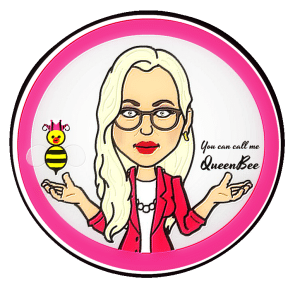 Essentially, “QueenBeeing” can best be described as a lifestyle that begins with understanding and employing the art of being your true, authentic self and of manifesting the life of which you’ve always dreamed–but it’s also so much more. Read More: What is a Queen Bee? QueenBeeing is not for everyone–it truly takes a certain type of woman to be a Queen Bee. Not everyone wants to be one and not everyone CAN be. How do you know if you’re a Queen Bee (or a potential Queen Bee)? You’re working toward manifesting the life that you’ve always wanted–the best possible version of your own–and you’re ready to make it happen. You’re feeling a pull to become connected with something deeper inside yourself. You want to tap into your creativity, intutition and generally you’re pulled toward becoming the best possible version of yourself. You’re feeling more powerful (or you want to feel more powerful). You feel a deep desire to become part of a bigger group or collective of people like yourself–you sense that there is a circle of strong support available to you and you’re ready to access it. You are ready to step outside of the box, outside of your comfort zone and find out who you really, truly are–and then to totally, fully and completely embrace that person so fully that no one–male, female or otherwise–can take your confidence and security away from you. Understand this, my little bees. You are move powerful that you know, right now, in this moment. You are now charged with changing your life, rewriting your story. You can write history and be the star of your own life. Are you ready to take control and learn the art of ruling your life? Together, we are going to help you to figure out your purpose, find your passion and bring your inner gifts and path to happiness to the forefront of your world (which, by the way, you can totally choose to RULE!). Stand together with us, and help us to change the world’s perception of and prejuidices against women while we evolve and change our own. One woman at a time, let’s help to create a better world for every woman–starting with ourselves. And then, let’s keep paying it forward. And since we’re all Queen Bees around here, stand up straight (it makes you look hotter AND feel more confident, seriously!). Now it’s time to embrace yourself and your fellow Queen Bees. Because ladies? It is OUR time. We are all connected, and we are each powerful. QueenBeeing aims to not only support all women in their personal, professional and spiritual development, but also to help them to look and feel amazing while they do it. You will only be happy when you are truly, authentically and unapologetically YOU–and when you learn to love that version of yourself, the sky will be the limit. Powerful will be an understatement. Are you ready to change your life and to reveal your whole self, even the parts that are hidden? This moment has been a long time coming, right? Do you feel a little twinge, or a pull–or a burning desire, deep inside of you? You might be ready to join The Queen’s List and become part of the Hive. We don’t believe in martyrdom or being subservient to men or anyone else in our lives. We love ourselves first, because we understand that we cannot love anyone else effectively otherwise, and that when we love ourselves, we can be truly happy. We take care of our appearances and we don’t apologize for it. When someone compliments us, we don’t negate it or get embarrassed–we smile and simply say thank you. And probably, if you’re a fellow female and you’re compimenting us on something we’re wearing, tell you where we bought the item you complimented. (Because, of course, as Queen Bees, we don’t worry about what will happen if we show up at a party wearing the same dress as someone else–we only buy things we look amazing in, and we don’t compete with anyone!). Want more? Check out our FAQ page!